Forward Township is located in the southernmost part of Allegheny County, bordering the Gulf of Mexico to the south…….or Rostraver Township - but who is counting. This place is extremely rural. It is interesting that Allegheny County is one of the most densely populated counties in the United States but it has huge chunks of land a la Forward Township that are agricultural areas which are sparsely settled. And no, for you Squirrel Hill residents out there, Forward Avenue does not run to this township. Apparently there is a nice Forward Township sign somewhere, as is featured on the Forward Township website (proudly hosted by Elizabeth Borough and its fancy, high-tech computer department). 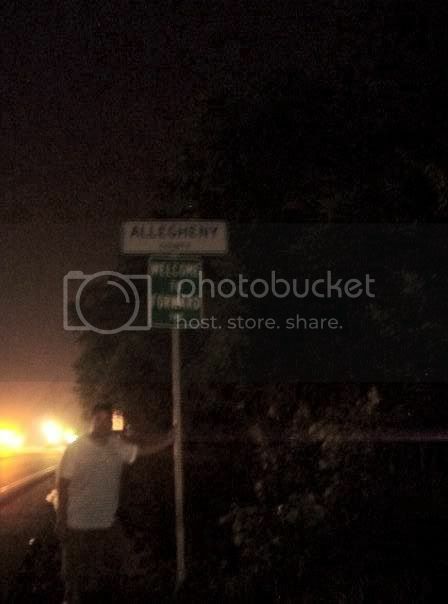 However, we were unable to find this sign due to the to fact that Forward Township is not even featured on the Allegheny County map.